FUTURE | TOP 10 VIDEOS OF THE WEEK! WE SPEAK MUSIC | TOP 10 VIDEOS OF THE WEEK! 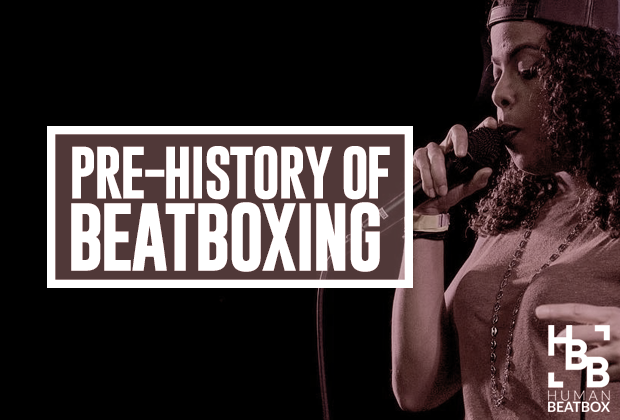 It is usually documented that beatboxing, as we know it, has its roots in the beginning of modern hip-hop, on street corners in placed like Chicago, the Bronx, and LA, and this is quite right. However, vocal percussion - the art form from which beatboxing spawns - has been part of the music and urban scene for a lot longer than people think. As part of the new school of beatboxing and hip-hop - that is, from around 1998 to today - it is extremely important this new school knows its history, and the way in which this glorious sub culture came about. 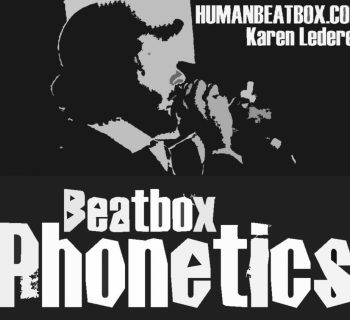 Through hard research, I will attempt to show you, the reader, the true (but brief) history of beatboxing. It first requires a trip back in time, more than 7 decades back, to the era of swing, jazz and barbershop music. It has been well recorded that jazz musicians where the first group of artists who used their voices, and indeed, their whole vocal chords to imitate instruments. When bebop arrived in the 30’s, as a reaction to large swing groups and their lack of improvisation, it was becoming the norm to hear jazz and blues singers wail, moan or grunt noises unidentifiable to the human ear as words. 'Scatting' was used as jazz singers improvised harmonic and vocal scales over solos or instrumentals. This was the first mainstream look at what would become vocal percussion, and later beatboxing. Singers would sing made up words such as 'doot', 'wawp', 'bapadoo' and many others, effectively imitating the sounds of the two most common instruments in their music, saxophones and trumpets. However, the roots of imitating instruments with the human voice goes a few years earlier. Traveling right back, we uncover the troubadours (poet-musicians) of Southern France the 1200 and 1300s. These were travelling French minstrels who would roam the streets singing either unaccompanied or with only the accompaniment of a lute, the precursor to the modern acoustic guitar. Their music seemed to try and be different and featured courtly lyrics or religious themes. By the late 1400 and 1500s, groups would sing together, much like barbershop, harmonizing to one single voice. To give their music depth, they would interchange short sharp notes, call and responsive in the melodies, making it sound like a whole band was playing with them. These French gypsies were in fact the earliest recorded signs of vocal percussion in history. As medieval became baroque, baroque became classical, classical became romantic, human percussion was lost momentarily. As music swung towards Bach and Beethoven with oratorios and symphonies comprising dozens of violins and violas, the use for the human voice lost all but one purpose, to sing. However, more recent composers such as Medtner and Rachmaninov used wordless 'vocalized' sounds in their classical compositions. For example, Rachmaninov's composition for voice and piano called 'Vocalise', written in 1912, features a pure melody that unfolds over gently changing wordless vocal harmonies. North Indian music has for centuries (and perhaps millennia) used something called 'vocal bols' that sound very similar to the sounds played on percussive instruments such as the tabla. The most common bols are Dha, Dhi/Dhin, Ti/Tin, Ra, Ki, Ta, Na, Tin, and Te. Bols are combined and arranged in 4-beat patterns called thekas to provide the rhythm or tal. For example, "Ta Dhin Dhin Dha". These are still used today by a wide range of artists and bands such as Alms For Shanti on their track SuperBol (spot the pun?). Although not a direct ancestor of modern beatboxing, this parallel will no doubt find itself fused with beatboxing in the future. Strings, Sagarika, Euphoria, Mehnaaz, Taufiq Qureshi, Pentagram ( yes Vishal of Vishal & Shekhar), Parikrama, Usha Uthup, Shaan, Sukhbir, KK, Suneetha Rao, Alms for Shanti, Vasundhara Das, Abbey, Ashutosh-Dhruv, Vedic Chant, Silk Route, Sanjay Maroo and Shankar Mahadevan. African ritualistic music had traditionally used body sounds to maintain rhythm, such as clapping and stamping. Loud in-and-out breathing called 'over breathing' was also used as both a two-beat rhythm and to induce a trance like state in the performers. Vocal percussion patterns were also used such as, "hup, hup, hup, hup" and "Ch Ka Ch Ch". Today, West African music still uses techniques such as giving the voice an intentionally raspy or buzzy quality as well as featuring glissandos, bends, and swoops. In the 17th Century, African slaves were taken to plantations in Jamaica and the Americas where the African music was blended with European folk and brass band music to spawn new forms of music - namely jazz and blues. In the late 1880s, black groups (usually quartets) would sing a capella, that is, using only their harmonized voices to make music. They would hold long, low notes that resemble what we hear as bass sounds in modern beatboxing. Vocal percussion was used by these quartets to help their music keep time, such as clicks of the tongue and taking a sharp breath in. Yes, more than a hundred years before Kenny Muhammad, black barbershop singers mastered the inward snare. Even though vocal percussion was only the background to this style of music, it no doubt set the stage for the oncoming craze of scatting and bass humming in the wave of jazz, blues, and swing music that was just a few years away. When blues was brought about by black slaves telling the heartache of life, there wasn’t usually instruments at hand. Musicians would improvise with what little they had, their body and their voices. Claps and clicks became the drums, and low hums became the double bass; the two backbones of blues and jazz music. One would hum, one would clap, click and hit things as the drums, and one would sing. This would eventually evolve into imitating many sounds, such as the 'shhchh' of a soft snare and the 'tssa' of the hi-hat being played with brushes. Blues groups found a way to make their music with nothing but their voices. As blues became more and more mainstream, scatting and bass humming became well known. Higher range singers would wail long, joined notes, taking the place of the trumpet in solos. Immediately, this form of vocal percussion became a staple of urban culture, that is, culture of the street. Poor artists would roam the streets, or gather on street corners, imitating trumpets and saxophones outside jazz halls. Today, beatboxing and vocal percussion is as alive as ever. One only needs to lend an ear to the Australian charts to hear Joel Turner using beatboxing as the drums to an entire album. Joel has since claimed national glory, and multimillion dollar record deal and mainstream exposure. The formation of such groups as the Beatbox Alliance, who have major corporate backing, makes us realise beatboxing is now a card carrying member of the hip-hop community. In 2000, Rahzel made beatboxing famous in the mainstream by covering the now deceased Aaliyah’s song 'If Your Girl Only Knew'. Rahzel has since been credited as the first person to conquer the art of simultaneously singing and beatboxing at the same time, a feat that has become a staple of the beatbox community. 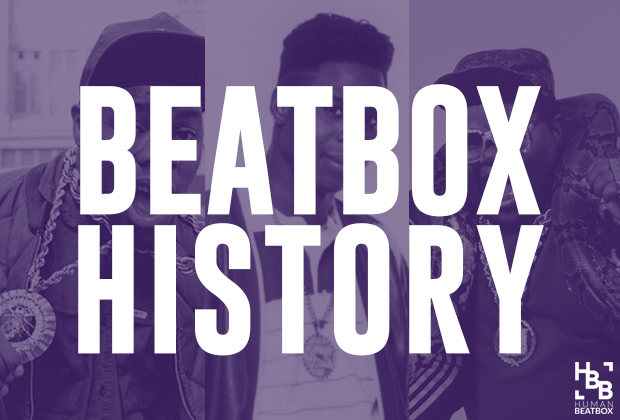 Next time we'll look at where the term beatbox originated, and how beatboxing developed in the 1980s and 1990s. Be first in line to the new HBB newsletter! Florida Beatbox Battle! | Top 10 Videos Of The Week! Ain't No Sunshine! | Top 10 Videos of The Week!